OVERVIEW: Third quarter focuses on research, fiction, and some non-fiction. Additionally, students will be reading a rigorous text, Frankenstein, that will be accompanied by two written PARCC simulations. Students will learn the proper MLA format for citing sources utilized in research. Media analysis will also be covered to prepare students for the three ELA PARCC assessments. 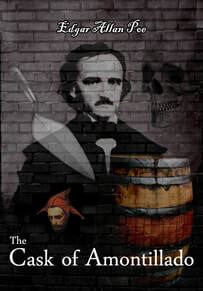 Toward the end of the quarter we will be reading and analyzing a rigorous short story and poem by Edgar Allan Poe that will provide students with more PARCC practice before testing ensues. ﻿Week One: We will kick off the second semester with a fun project students usually enjoy. Students will be creating Book Review Posters! 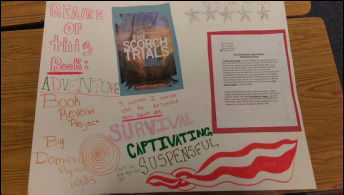 The Book Review Projects require that students write comprehensive summaries (minus "spoilers") along with an expert recommendation of their chosen book from independent reading. Other project guidelines include a five star rating, a book cover print out, other illustrations, a minimum of three "tag" words that describe their book, and the book genre. Students will be working on the written part of the projects in class Tuesday and Wednesday. The creation and composition of the actual poster will be homework since we will be starting Frankenstein the end of this week. The posters will not be due until Friday, January 19th. 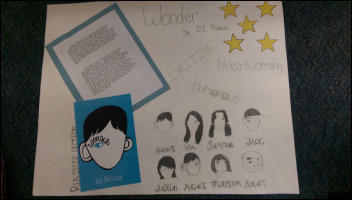 BELOW ARE SOME SUPERIOR STUDENT BOOK REVIEW POSTER SAMPLES! 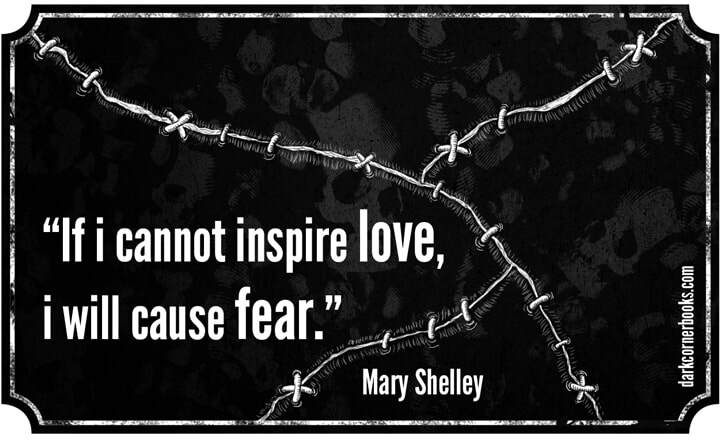 ﻿Week Two: Students will be reading and analyzing an adapted and abridged version of Mary Shelley's Frankenstein. We will be doing character analyses and answering comprehension questions at the end of each chapter. By Friday of this week we will be through chapter 5 of the text. Students will also be working on their reading log arguments each day after independent reading. Completed reading logs will be due Monday January 22nd. Week Three: This week we are continuing in our adapted version of the novel through chapter 11. In addition to the comprehension questions in the back of the book students will be assigned a conflict analysis activity. Both the comprehension and conflict analysis assignments will be due next Wednesday, January 31st. Week Four: Monday of this week we are finishing the last two chapters of Frankenstein and reviewing for the test which will be on Thursday and Friday. Tuesday and Wednesday is our mid-year NWEA testing. 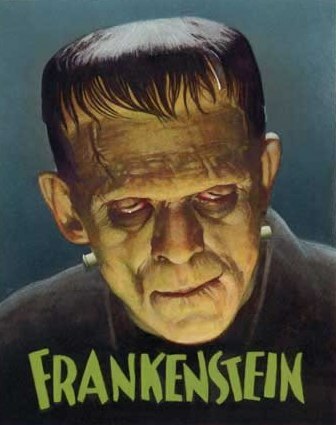 Thursday students will be taking the multiple choice and characterization section of the Frankenstein test. 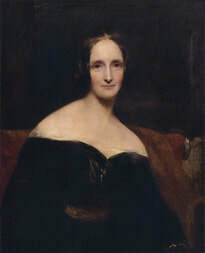 Friday will be the second part of the test: Students will be writing an argument defending the tone they select for an excerpt of the creature's story from the original 1818 academic version of Mary Shelley's text. Week Five: Monday and Tuesday of this week we will be analyzing a poem by Gary Soto called "Oranges". Students will be working on a packet of activities that go with the poem after they analyze and annotate it. Wednesday students will be taking a quiz on the poem and then learning about odes: a type of lyric, freeform poem. We will be analyzing and annotating another poem by Gary Soto: "Ode to Pablo's Tennis Shoes". Students will learn what an ode is and how to go about writing an ode. Thursday students will be writing their ode rough drafts and Friday they will be editing, revising and finalizing their odes with a meaningful illustration. The Oranges packet will be due on Friday and the odes will be due on Monday. 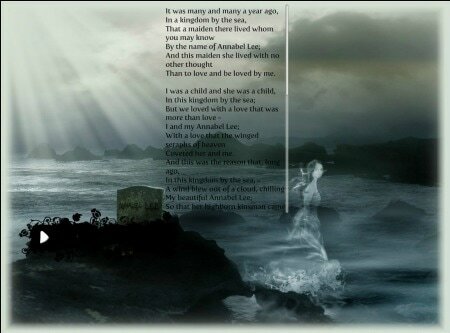 Week Eight and Nine: The second half of week eight we will be studying two texts by Edgar Allan Poe: The Cask of Amontillado and "Annabel Lee". Students will be working on a compare and contrast activity, text analysis, and argument writing response using these texts. During week nine we will start our final unit for the year: Diversity and Adversity utilizing The Outsiders novel by S. E. Hinton. This week we will start by building background knowledge for the setting of the novel through an online scavenger hunt. 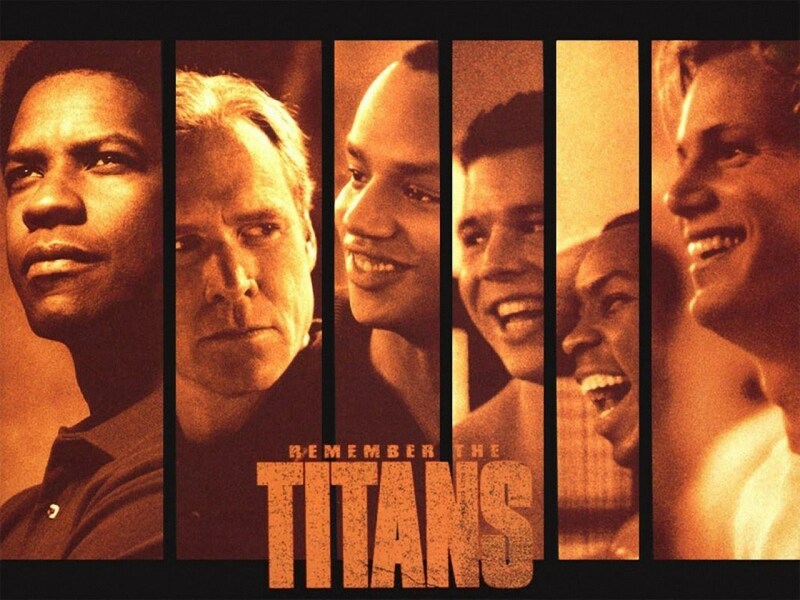 We will close out the quarter before spring break with a movie teeming with diversity and adversity: Remember the Titans.